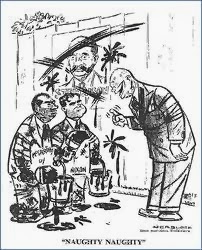 It's time again for another history lesson, this time from an article by Robert Sobel at the Examiner.com, "Looking Back: How Republicans Fell Off An Economic Cliff Over the Last Century." 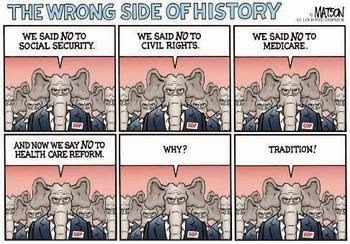 "Not too long ago the Republican party looked much different than it does today. Compared to the current incarnation, the men and women who represented the Republican party of yesterday might not even be welcomed in today's GOP. As the years have gone by, conservatives across the country have taken steps to the right of the political spectrum and today are nearly falling off a cliff. 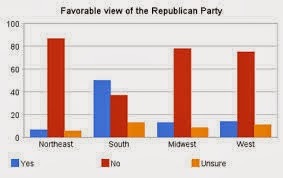 "The current Republican party is no longer a party that relates to the average American. Whether it's economic or social issues or foreign policy, Republicans have taken a far right stance with nearly every position. After the stock market crashed on October 29th, 1929, following three straight Republican presidencies over a 12 year period, President Franklin D. Roosevelt was sworn into office in March of 1933 and over the next 12 years got the United States back on its feet. Following the guidelines in his 'New Deal,' which included the creation of the Social Security program, Americans found themselves getting out of poverty and back into the workplace. After leading the country into a position to win World War 2, President Roosevelt passed away on April 12th 1945. His vice president, Harry Truman, became president and less than a month later, led the United States and their allies to victory. "When the stock market crashed, the top tax rate was 24 percent. The top tax rate in 1923 was 56 percent, but was lowered to 25 percent in 1925 and pushed down further leading to the destruction of the American economy only a few years later. One of the main reasons the United States was able to bounce back was because the country was receiving more revenue from its citizens. The top tax rate was increased to 63 percent in 1932 and by the time President Truman left office in 1953, the top tax rate was 92 percent. When Republican President Dwight Eisenhower took office in 1953, the country was doing well. It was common place for only one parent in the household to work, easier to raise multiple children and a family could afford to send their children to college without having to worry about massive debts holding them down for years to come. "In the 1950s and 1960s, unions were strong, workers made a living wage and pension plans and vacation time were of the norm. Not everything was perfect in the 1950s, civil rights for African Americans, women and minorities were being fought and the horror of what was going on in the streets of America was disturbing. While the country had its ups and downs, both parties seemed to be able to sit down and have a conversation with each other, unlike in Washington today. "Republican presidents like Eisenhower and Richard Nixon held positions that would possibly get them blacklisted from the current Republican party. President Eisenhower passed the The Federal-Aid Highway Act of 1956,' which created 41,000 miles of road to be built over a 10 year period, costing nearly $25 billion dollars. The highway was primarily paid for by the 'Highway Trust Fund,' which collected money from the taxpayers by adding new taxes to fuel, automobiles and tires. The idea was revolutionary and one that came to Eisenhower while spending time in Europe as a member of the U.S Army. "Following President Eisenhower, Richard Nixon took office in 1969 and within a year created the U.S. Environmental Protection Agency, otherwise known as the EPA. Though Nixon cast many dark shadows during his time in office, the creation of the EPA, in addition to keeping top tax rates at 70 percent, were actions that would lead Nixon right out of the current Republican party. It wasn't until Ronald Reagan took office after the 1980 election that the economic policy drastically changed for the Republicans. "While the government gives Americans and business a chance to succeed, there are those who aren't as privileged or in a position to do so without some help. 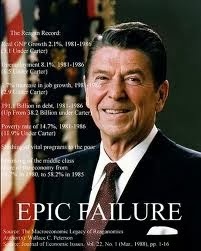 Ronald Reagan came into office and took a top tax rate of 70 percent and cut it down to 50 percent after his first term was complete and by the time he left office in January of 1989, the top tax rate was dropped to 28 percent, the lowest it had been since the stock market crashed in 1929. During the decade of the 1980s, the policies of Ronald Reagan tripled the national debt, wealth began to concentrate to the top 1 percent of income earners, while the middle class started to struggle worse than they had in decades. The Social Security program, which lifted millions out of poverty, was being raided by Ronald Reagan and his administration to make up for the shortfall in revenue due to his tax cuts. Republicans claim that they are against social welfare but Reagan ushered in the era of corporate welfare than drained the United States of money far worse than any social program could or would. "Ronald Reagan laid down the platform for the current Republican party, but the new crop of lawmakers have taken that platform to the extreme. President George Bush was handed an economic surplus by President Bill Clinton, and by the time he left office eight years later, that surplus was transformed into an enormous debt caused by massive tax cuts, primarily for the wealthy, a prescription drug plan and two wars that weren't paid for. "At one time, Republicans seemed at least somewhat reasonable when it came to economics. 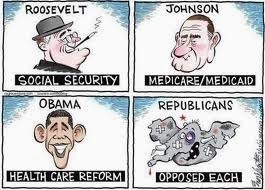 Programs like Medicare, Medicaid and Social Security weren't a major issue, they were a 'no brainer.' Keeping taxes high was the obvious choice because when a government needs money to spend on mandatory programs, it receives the revenue from its citizens. 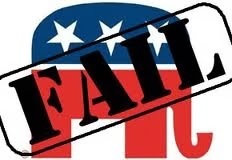 The Republican party of today has changed drastically and with each passing year the party continues to shift further to the political right, alienating average voters in the process and pulling the country further toward the edge of the economic cliff. While today's GOP isn't your grandpa's GOP, we suspect a few items could have been added to this piece; Eisenhower's Administration was corrupt, and the corruption and criminal behavior spilled into the Nixon regime; Ike's "idea" wasn't his; and we're still suffering from the aftereffects of the Reagan rule and bits and pieces of Republican legislation like the Taft-Hartley Act that was passed by a Conservative Congress in 1947. The temporary insanity of the GOP in the guise of the Tea Party is just a baring of Conservative souls...once upon a time the Conservatives lied about their beliefs, then acted on them once they got into office. And once the Tea Bagger problem is solved, the Conservative capos will be back in business again. 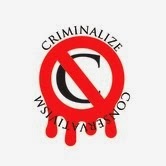 Unless Conservatism is criminalized first. century’s history. But I didn’t live in this century."